British noir is nothing new. From 'Night and the City' in 1950 right through to the novels of Ian Rankin, British storytellers have never been reluctant to draw on American crime fiction to inform their own grim, urban tales. But rarely has that inspiration been quite as blatant and stifling as in 'City of Tiny Lights', a London-set thriller complete with troubled hero, growling voiceover, femmes fatales, dark revelations, dodgy land deals, political intrigue and plenty of gunplay. Director Pete Travis ('Dredd', 'Omagh') and screenwriter Patrick Neate bring things up to date with a dash of war-on-terror politics and a smattering of grime-speak, but this is basically 'The Big Sleep' with bruvs. Which, to be fair, isn't an entirely off-putting proposition. 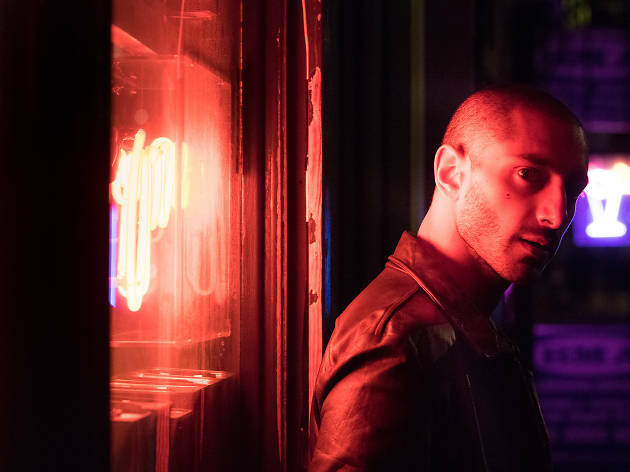 Riz Ahmed is cool, calm and conflicted as Tommy Akhtar, Acton's answer to Sam Spade. When local prostitute Melody (Cush Jumbo) walks through his door (plate glass with the name stenciled on it, of course) asking for help finding her missing flatmate, Tommy is swiftly embroiled in a web of lies and betrayal that stretches from old classmate turned enthusiastic property developer Lovely (James Floyd) to fundamentalist imam Al-Dabaran (Alexander Siddig) to shady CIA operative Schaeffer (Vincent Regan). To make matters more confusing, old flame Shelley (Billie Piper) is back in town, looking to mend old wounds inflicted by the death of their childhood friend two decades before. To their credit, Neate and Travis ensure that these sprawling plot threads never get too tangled: the script is crisp and at times very funny ('Mate, I own bog roll more abrasive than you'), and the characters are all sharply drawn. Ahmed is a towering lead, bulked-up and burning charisma, every inch the movie star. But the noir trappings can be distracting – there's something schoolboyish and cringey about a British film trying too hard to ape America – and the plot is fairly predictable, the real villain obvious from the start. What's most unexpected about it is how weak the action is: given his thunderous, bruising 'Dredd', Travis's decision to shoot all the chase scenes through a blurry, cheap-looking digital filter feels like a bizarre choice. 'City of Tiny Lights' is always entertaining, and proves a great excuse for Ahmed to confirm his newly minted matinee-idol status. If only it had the confidence to shrug off its influences and do its own thing. Stay home. Play scrabble. Enjoy a good book. I'm so surprised as to how many top listed UK actors are in a movie that has some really cheap stylistic elements. I felt like I was watching something made by a high schooler - blurred lights when he's running through the streets, a city skyline while there's an internal monologue... It was extremely slow! In fact, it was an almost exact replica of the TV show 'The Night Of' which funnily enough has the SAME lead actor. After seeing the relatively poor/average reviews, I can say I was defiantly pleasantly surprised by this movie. An authentic feeling and quite raw view of London's underbelly, where racism and crime is prevalent the film follows the main character searching for the answer to a murder mystery while simultaneously slowly revealing his back story. I think one of the strongest elements of this movie is the casting. 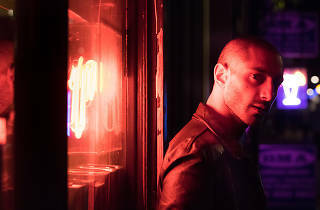 Anyone who has seen The Night Of TV series will know Riz Ahmed is an incredibly talented actor, and he plays the same brooding part well here. Billy Piper also shines, but neither as much as the actors who play the teenage versions of the main characters. I think the acting and casting of the teenagers is a really strong aspect of this movie. The film could defiantly be played out slightly faster, and I could understand why it has some of its negative reviews, however I was defiantly glad I got to see it.